Trump is set to announce this afternoon a formal recognition by the American government that Jerusalem is the capital of Israel. In May, a guest editorial for Right Wing News from Star Parker urged that Trump should move the embassy in Israel to Jerusalem. Parker cited the 1995 Jerusalem Embassy Act that stated it ought to be a matter of American policy that Jerusalem should be an “undivided city” and that it ought to be seen as Israel’s capital. Further, it recommended that the embassy ought to be moved from Tel Aviv to Jerusalem by no later than 1999. But hey, that was a Clinton presidency, so you couldn’t expect that much from him. The waiver that should have been signed at the time to move the embassy will be resigned every six months until it is built anew in Jerusalem. The move, which has been rumored since the first few days of Trump’s time in the Oval Office, has been met with praise and criticism, with reactions ranging from that it will cause war in the Middle East, to others who claim it will be the start of a new peace. Due to the unknown time frame, it is not guaranteed that the embassy will be finalized during Trump’s first term. But, as a two-term believer, I have no doubt it will be finished before he exits office. Most embassies, according to an official, take at least 3 or 4 years to build. Officials also say that this is no way interferes with Trump’s support of a two-state solution and that it is just another campaign promise that he intends to fulfill. Jerusalem is considered a lynchpin in the Israeli-Palestinian conflict and whose ownership is hotly contested. 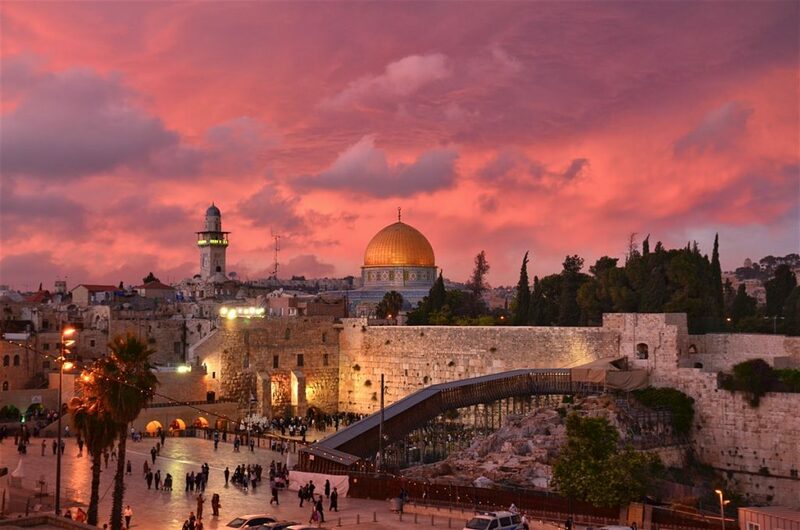 The city, one of the oldest in the world, is a major player in three major world religions. For Jews, it is the city of King Solomon. For Christians, it is the place where Jesus died and was resurrected. For Muslims, it is where Mohammed ascended to heaven. Trump’s daughter Ivanka converted to Judaism before marrying her husband, Jared Kushner.